A proper work-life balance is essential for just about everyone. People need to commit proper time to both protect their personal well-being and make time for life's other interests, like family and hobbies. Despite the importance of this balance, doctors as a whole don't always have it down pat. In fact, per a September 2016 Great American Physician survey, over 50 percent of respondents said they had a poor work-life balance. Another 71 percent admitted to not having time for a social life. "Over 50% of doctors said they had a poor work-life balance." As problematic as these conditions are for all doctors, there are changes occurring within the medical community that may drastically affect the newer generation of physicians. Dr. Peter Lipson is an internist out of the Midwest. In a January 2017 column for Forbes, he wrote he believes that we're asking too much out of residents and other training doctors. He points to changes within the Accreditation Council for Graduate Medical Education from late 2015, which proposed bumping the shifts of first-year residents from 16 hours to 24 hours. Lipson, and other physicians like him, believes that this is asking too much of young professionals who have been given "the incredibly complex task of caring for our loved ones in the hospital." He also points out that even truck drivers aren't legally allowed to work 24-hour shifts, and asking that of doctors would have a drastic impact on the quality of modern medicine. While it's clear that Lipson has the best interest of residents in mind, it's still important to understand the issues that these young doctors face. Many of these professionals already have difficulties maintaining a proper work-life balance, given the time and devotion needed to finish their training. As a result, many of these residents already face loads of added stress. Per a 2013 study in the journal PLoS One, some residents experience what's called phantom vibration syndrome, in which they believe their pagers have gone off in the middle of the night. That kind of pressure can impact a doctor's effectiveness on the job, and the pressure isn't in their heads, either: A 2016 study in the journal JAMA noted that medical students as a whole have much higher rates of depression and suicidal thoughts. 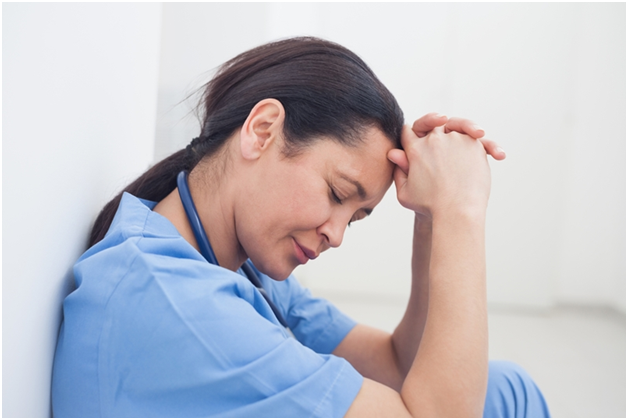 It's clear that new training might only exacerbate a true problem in modern healthcare. Per Lipson's column, the ACGME will meet in February 2017 to decide the change in hours. However, as the Cleveland Plain Dealer reported back in early 2012, this isn't the first change to occur over the last few years. Around that time, 14 years of deliberation led to noteworthy changes in regulations for work hours, dropping the per-week limit to 80 full hours. While the move to 24-hour shifts might complicate things, it's worth noting that the ACGME takes time to make these decisions and does its best to weigh the opinions and ideas of members and the community of medical residents. No matter what happens on an official level, it's essential doctors make a proper work-life balance a priority from day one of their training. While that's not always easy, the American Medical Association pointed towards one successful program out of Stanford University School of Medicine. The "Balance in Life" program has several ways to provide balance, including mentorship programs, mental support and counseling, and even healthy snacks. Meanwhile, there are things residents can do on their own, like practicing better time management, learning to say no or sharing when you're over-worked, and relying on your fellow residents. Even simple steps can have a huge impact on your future as a prosperous medical professional.